Professor Bowman's primary research and teaching interests are: State and Urban Politics and Administration, Federalism and Intergovernmental Relations Public Policy: Environment, Economic Development, and Land Use. Her recent publications include "You Get What You Pay For: Environmental Policy and Public Health" (co-authored with Neal D. Woods and David M. Konisky), published in the Winter 2009 issue of Publius: The Journal of Federalism; the seventh edition of State and Local Government (Houghton Mifflin, 2008, co-authored with Richard C. Kearney); and "Strength in Numbers: Why States Join Interstate Compacts" (co-authored with Neal D. Woods), which appeared in the Winter 2007 issue of State Politics and Policy Quarterly. Forthcoming in State and Local Government Review is an article, "Vulnerability and Resilience in Local Government: Assessing the Strength of Performance Regimes," co-authored with Bryan M. Parsons. The research that she and Michael Pagano conducted on urban vacant land led to the publication of Terra Incognita: Vacant Land and Urban Strategies (Georgetown University Press, 2004). Currently, she is studying in several topics including interstate relationships, the adoption of environmental policies, the formulation of state poverty policy, and local emergency management. 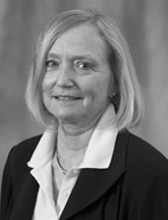 In 1986-87, Professor Bowman held the Lincoln Government Fellowship at the National League of Cities in Washington, D.C. From 1989 to 1995, she was co-editor of the Annual Review issue of Publius: The Journal of Federalism. She received a Fulbright award to serve as the Odense Distinguished Chair in American Studies in Denmark during 1995-96. She has served as president of two organized sections of the American Political Science Association: Public Policy (1997-98) and Urban Politics (2001-02). In 1998, she won the Donald C. Stone Award for Research, given by the Section on Intergovernmental Administration and Management of the American Society for Public Administration. From 2001 to 2004, she was Book Review Editor of the Journal of Politics. Currently, she serves on the editorial boards of Publius: The Journal of Federalism and State Politics and Policy Quarterly, and is a member of the Executive Committee of the Public Policy section. Professor Bowman received her doctorate from the University of Florida. She taught at the University of South Carolina for many years prior to arriving at Texas A&M University in 2008.